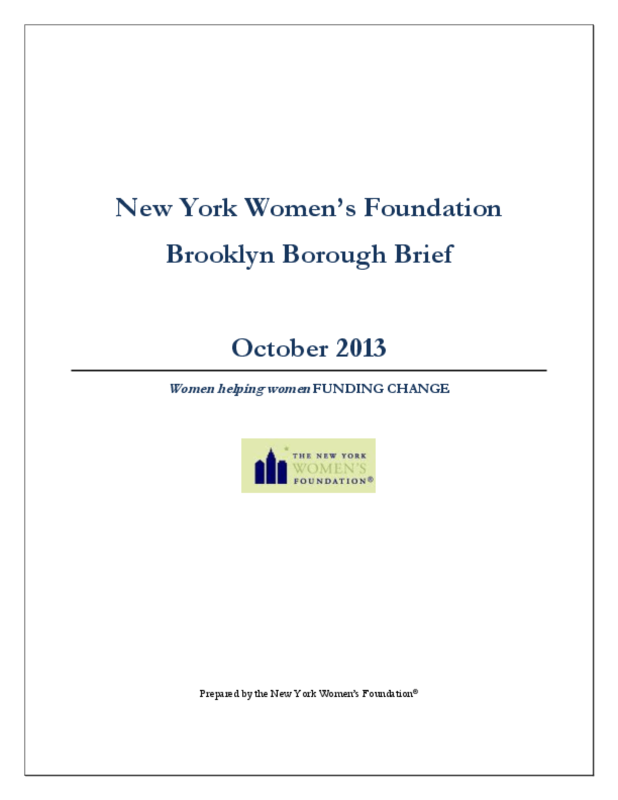 This brief provides demographic and descriptive data of Brooklyn, provides an overview of NYWF's investments in the borough, and highlights the work of grantee partners based in Brooklyn. The profile includes participant success stories from the field as well as a discussion of ongoing challenges. Information included in this report is generated from regular performance reports provided by grantee partners.